Browse through various online store, visit a jewelry store or open a catalog and you will be overwhelmed by the variety of watches from different brands. From small to big ones, shine steel to dull black ones, and many more. Buy a watch today can be one of the hectic situations you have never come across. This could even become hard, especially the fact that different watches sell at different prices. So which one to buy? To help you treat yourself with the best watch, we have compiled all the information you need when buying a watch. So if you wanna buy a watch today then keep on reading this article and in the end, you will be able to choose the best watch for yourself. Bearing in mind that watches come with different prices, establishing your budget should be your first thing to do when buying yours or as a gift. The latest luxury watches are pricey; however, this depends on the brand and type of watch. If you want a good, long-lasting and luxury watch then you need to set aside about $100 and above. Well, of course, there are watches that cost less than that, especially if you are on a tighter budget and want a mid-range watch. To save yourself some money, it would be best to research and chances are you will get the best watch at an affordable price. The material type of your watch is an important factor you should never overlook. If you intend to wear your watch from morning to evening, Monday to Sunday, January to December then you need to ensure it’s made from durable material. Most long-lasting watched are made with stainless steel mesh bracelet material. A watch will at some point need maintenance since it’s also prone to break. In fact, mechanical watches are made by human beings, which mean they can break. Remember, you will be wearing the watch whether working or not, which means it will come into contact with a lot of things and for a mechanical watch it might crack. In this case, you will need to take it to be repaired. For that reason, you need to find out from the seller if they can service or repair the watch in case anything goes wrong or whether you can take it back to the manufacturer for servicing. You should also find out how long it can take for the watch to be repaired. You could find out more from watch forums. If the watch dealer is able to repair the watch, find out how much they charge for repairs. Some watch dealers will list the charges on their website. 4. Study the Watch Carefully. If you have the watch in your hands, flip it over and check the case back. Watches with cases made of gold or silver shows that it’s high-quality. Also study closely at the case back to see whether there is additional information about the watch such as the make, model and the manufacturer. Sometimes some watches have information like the types of movement inside and the country where it is manufactured. All this information is very helpful to help you know the quality of the watch you are purchasing. 5. Check the Weight and Accuracy of the Watch. An expensive watch must be heavy, regardless of whether it’s a dive watch or a small lady’s watch or smaller. The watch accuracy is also another important factor to consider. The latest Quartz movements are considered the most accurate making them capable if helping when it comes to celestial navigation. When it comes to a mechanical watch, you could assess its accuracy by studying the seconds hand. 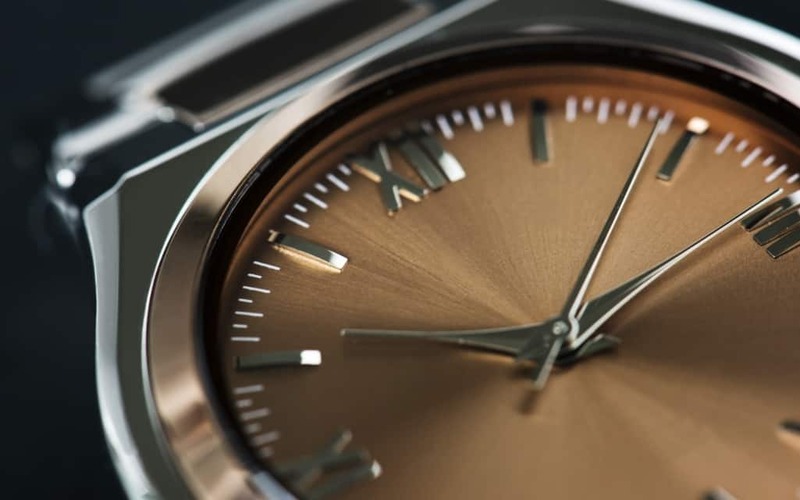 For a Quartz watch, the seconds hand moves consistently at one-second beats, however, a mechanical watch, the seconds hand moves several times per second. Last but not least, you should consider the style and size of the watch. It should fit perfectly in your wrist, which means it should not be too big to stay loose in your wrist nor too small to be tight on your wrist. When it comes to the style of the watch, you need to consider your preferences. What clothes do you like wearing? Will they complement with the watch? Ensure the watch matches perfectly with the clothes you have in your wardrobe.